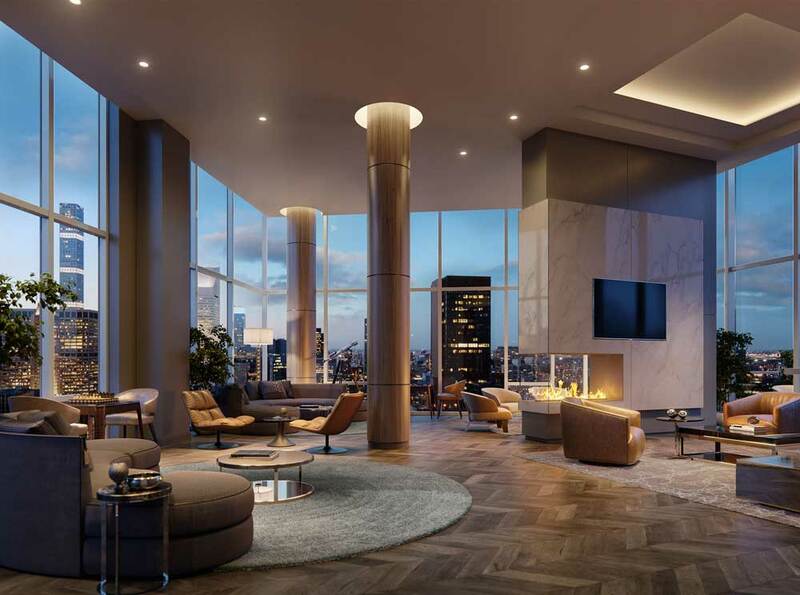 This month, BLDG Management officially began leasing at The Summit, a new rental property the developer has coined “a diamond in the sky.” Located at 222 East 44th Street, the 43-story building arrives as the first ground-up, residential building in Manhattan from BLDG. 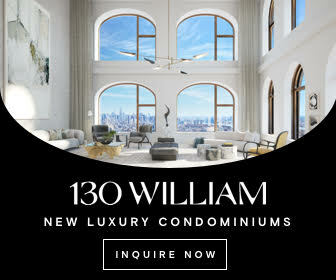 Designed by Handel Architects, the tower’s unique massing features a trapezoidal design that orients interior views toward the East River and the Midtown skyline above, and away from surrounding properties. 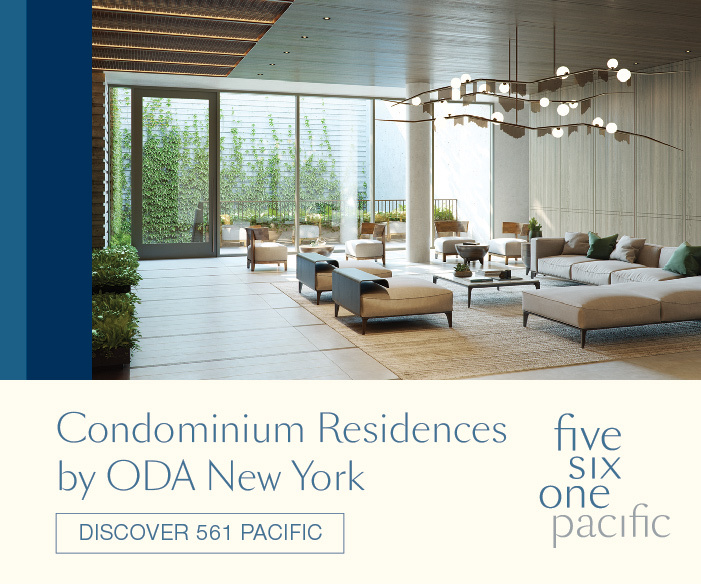 Within, the building contains 429 residences ranging from studio to three-bedroom accommodations with an amenity package more akin to a condominium development. 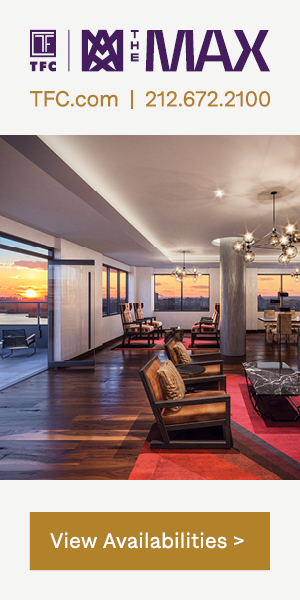 These amenities include a 42nd floor lounge with a private dining room and catering kitchen, a marble service bar, a fireplace, and private wine storage. A “Club” level offers kid-friendly lounge areas, a golf simulator, billiards, a screening room, and an attached outdoor terrace. Outdoor areas at this level will include grilling stations, a bar, fireside seating, and a children’s play area. 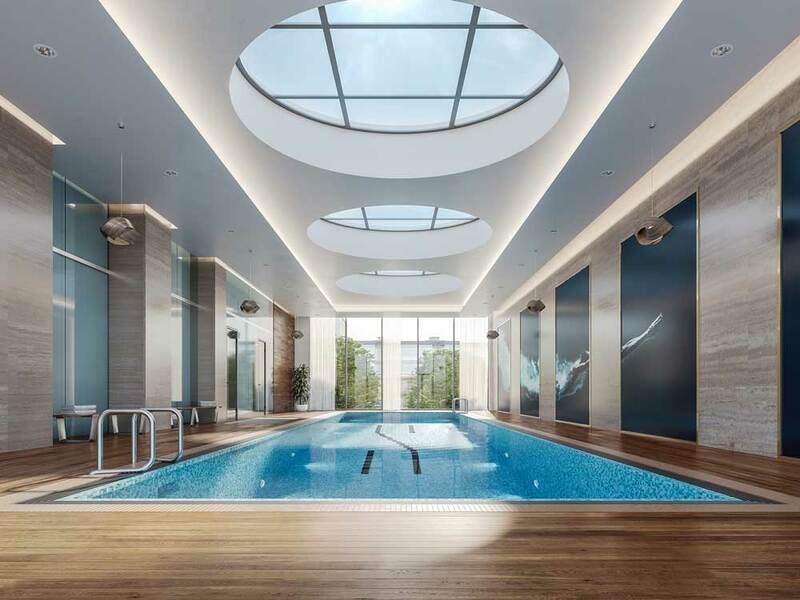 A state of the art fitness and aquatic center will include a basketball and squash court, high-end equipment, sauna and steam rooms, as well as a 59-foot indoor lap pool. 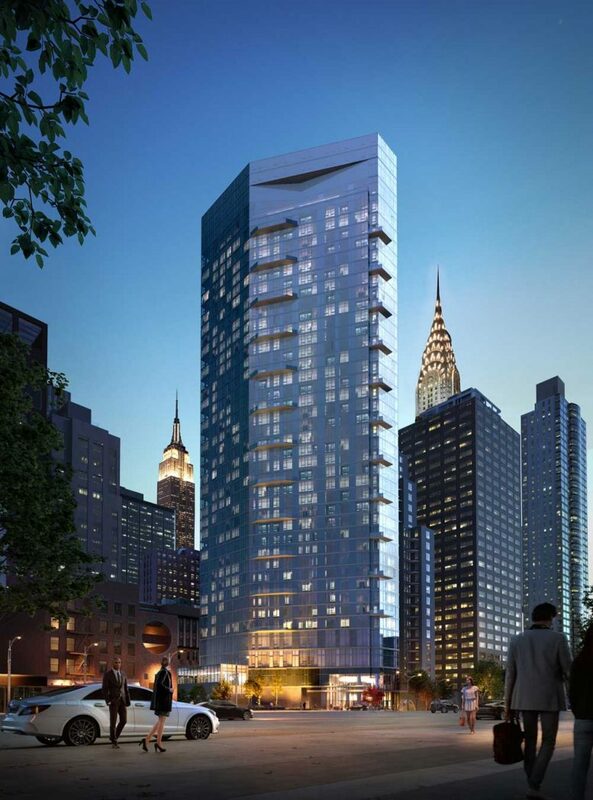 Future occupants will also have access to a 230-vehicle parking garage with valet service. With this in mind, the Summit’s interiors were meticulously designed the award-winning Lemay + Escobar, who specialize in large-scale, mixed-use, residential, adaptive reuse, and hospitality projects. 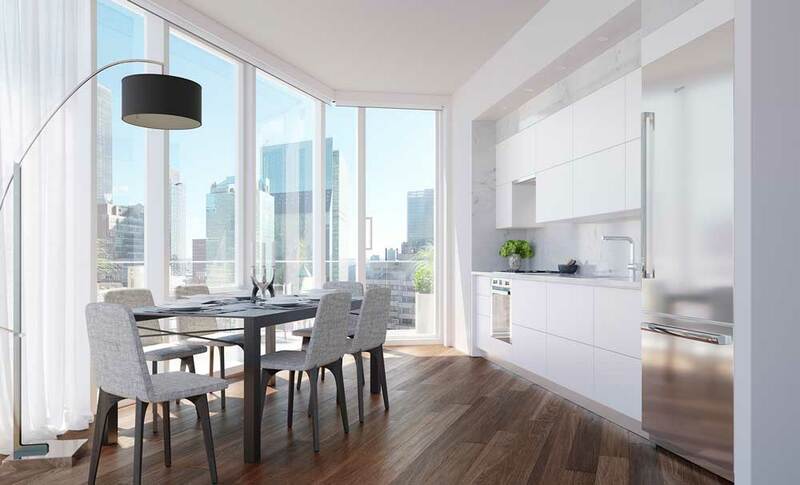 Each apartment will include custom wide plank oak flooring, custom Italian cabinetry, Quartz countertops, a full suite of integrated Bosch appliances, and in-unit washer-dryers. 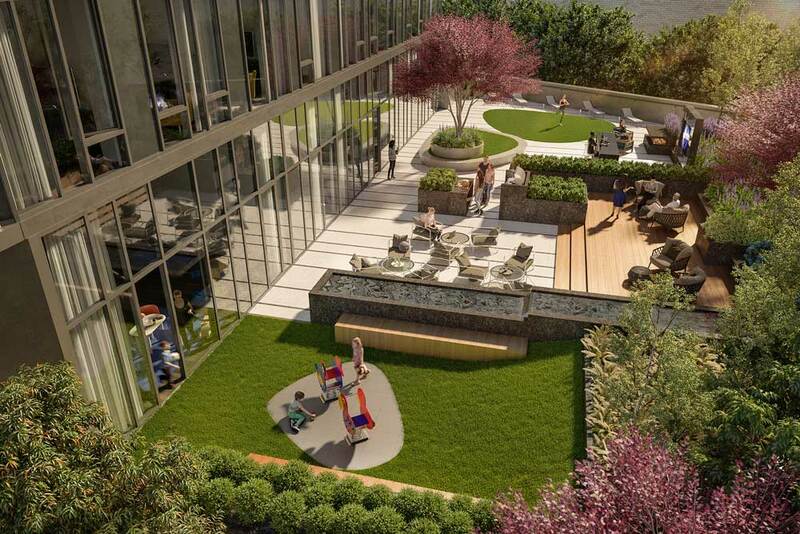 Select residences will also include private outdoor area. 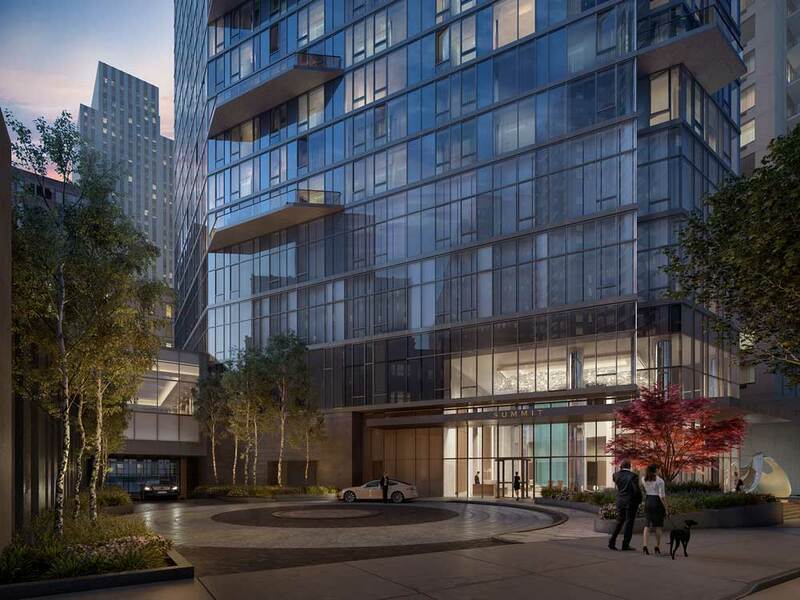 At the ground-level, opulence is, perhaps, the best word to describe the building’s entryway which includes a through-block, circular driveway, a privately commissioned steel sculpture, and a reflection pool. The building’s marble-clad lobby features 30-foot ceilings, a grand chandelier, and a waterfall. 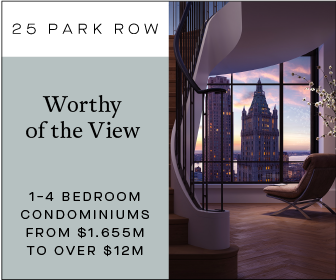 Pricing begins around $3500 for market rate units. About 20 percent of the apartments within the building will be reserved for affordable households with annual income ranging from 40 to 60 percent AMI. 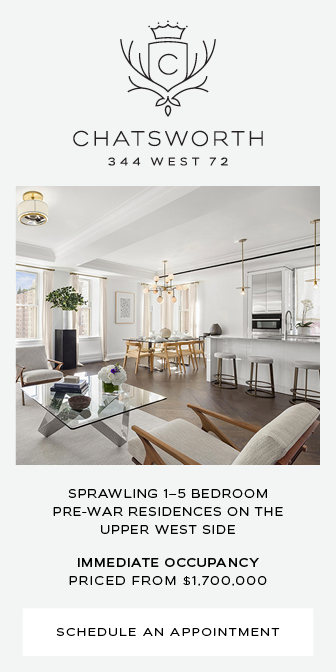 3 Comments on "BLDG Management’s First Ground-Up Residence Launches Leasing in Midtown East"
PARDON ME FOR USING YOUR SPACE LOL !!!!!!!!!!!! That building was built over decade, it was topped out several years ago, and just now is finished(?). Unfortunately, this City have both types, a fast pace construction and super slow. But building is nice, good addition to GCT East neighborhood. Glass monolith but pleasing design and overall good looking moderate tall highrise design.